The Eastbourne Community Safety Partnership (ECSP) celebrates the relaunching of its e-Newsletter. Since 2005 crime in Eastbourne has fallen by over 40% and the ECSP continues to tackle crime and anti-social behaviour by working in partnership with statutory and voluntary agencies, along with local community groups. The relaunched newsletter provides information on what the Partnership is doing to make Eastbourne an even safer place to live, work and visit. 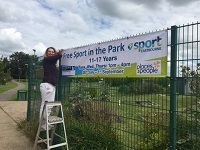 This summer Neighbourhood First have launched "Diversionary Sports" across Shinewater and its usual home of Willingdon Trees, providing free sports sessions for young people throughout the school holidays. The project was supported by the Eastbourne Community Safety Partnership, Places for People and local Ward Councillors. Sports based interventions are well supported by the Government as they can provide the opportunity for young people to engage in education and employment whilst acting as a tool to prevent anti-social behaviour. You can find out more about Neighbourhood First here. 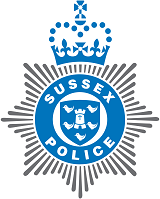 Sussex Police are running a crackdown on street drinking and alcohol-fuelled anti-social behaviour in Eastbourne town centre following a rise in reports during the warmer weather. The Operation introduces extra patrols to check on hotspots across the town, liaise with local businesses and remove alcohol from anyone who was found drinking and causing a nuisance. Operation Wagon Wheel is part of a wider strategy to tackle street drinking involving Sussex Police and Eastbourne Borough Council. It includes setting up the Eastbourne HUB which aims to support the local street community by reducing personal harm, homelessness and the impact the street community has on local residents, businesses and visitors. The Eastbourne Community Safety Partnership is totally committed to tackling anti-social behaviour across the town and supports the Eastbourne HUB.